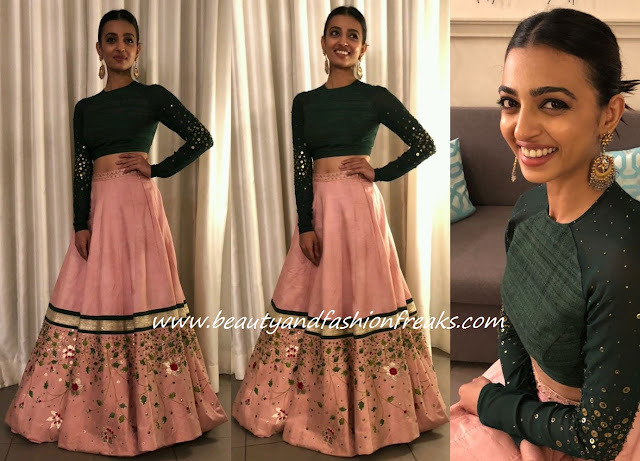 It was a Divya Reddy lehenga for Radhika while at the opening ceremony of IFFI Goa 2017. Wearing her hair in a severe knot, the actor completed her look with a pair of Amrapali earrings. Not a fan of the lehenga here though Ms. Apte wore it well, she looked nice! Beautiful! And the long skirt is wonderful, I loved it! You look amazing darling! Stay fabulous babe! The pink skirt looks so pretty!! Love it.